Soon it will be all red, pink and white hearts all around because it will be Valentine’s Day! 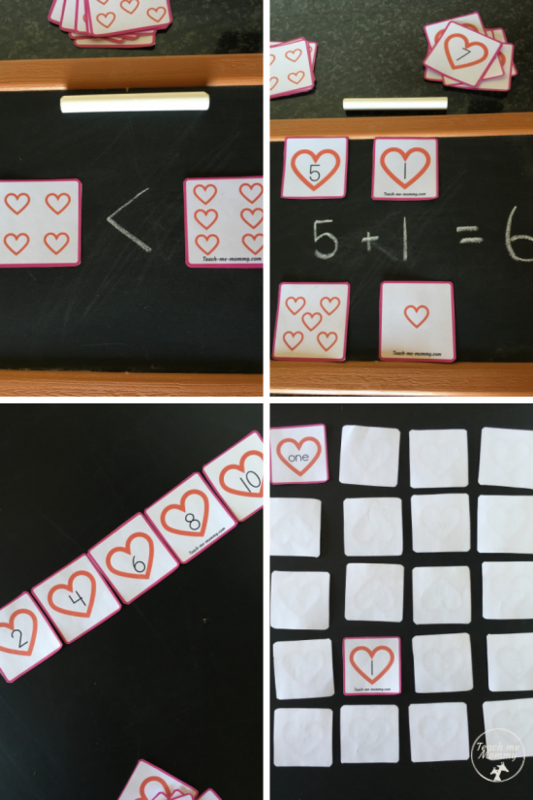 How do you incorporate the love theme in your learning? 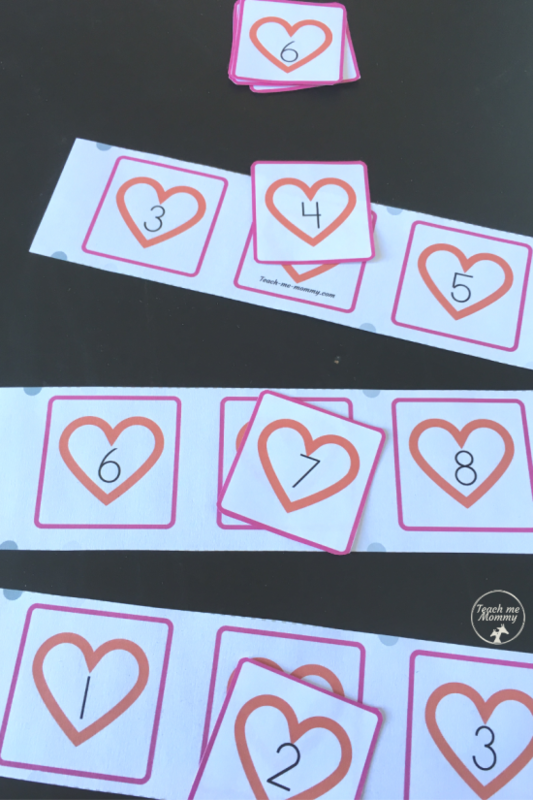 These heart number cards are perfect for that! 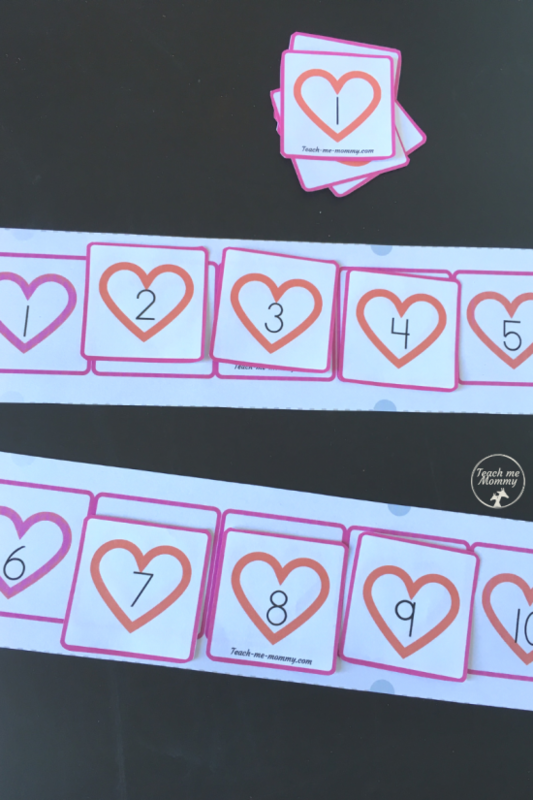 With these heart cards you can simply practice counting up to ten-placing them in order while counting or match the “friends”-the corresponding number symbol, number name and number picture cards. 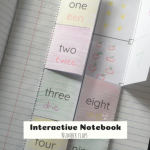 BUT, I made these strip cards so that children can use the cards independently. 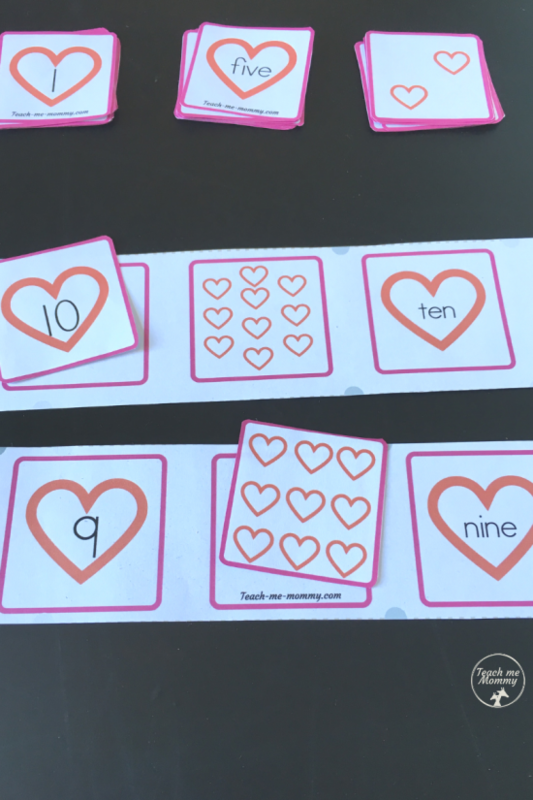 There are “Matching the Friends” strips(some of it pictured above), Missing Number strips(some of it pictured below). AND this sheet, I call it “Number of the Day” because you can use it as a Number-of-the-day or week activity. 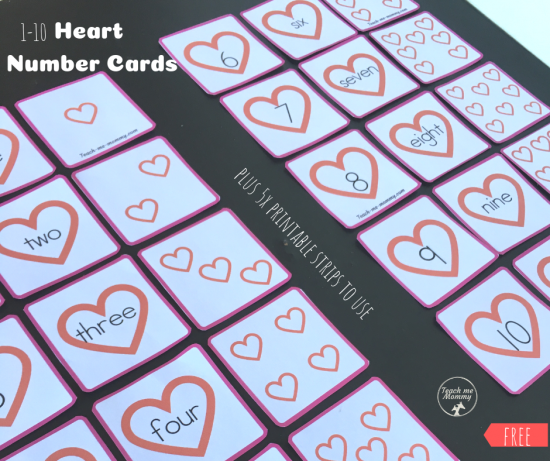 Pick a card from the heart numbers pack. Place it in the block on top of the page. 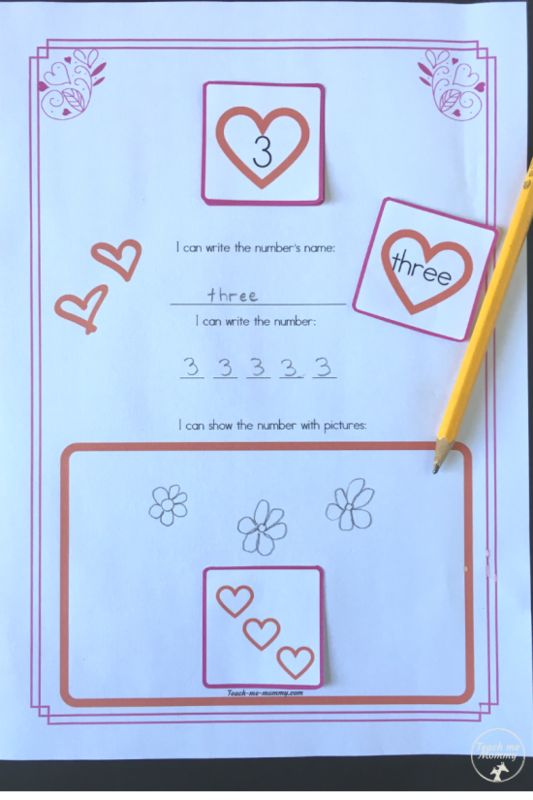 Then fill in the sheet by writing the number name- some kids might need to copy the number name from the number card, then write the number a few times. Lastly, draw your own pictures to show the number. 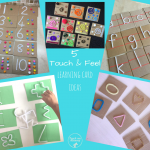 Use the cards with older kids to practice greater and smaller concepts using a chalk board or white board. Pick two or three cards an get the sum. Pick the cards while skip counting. 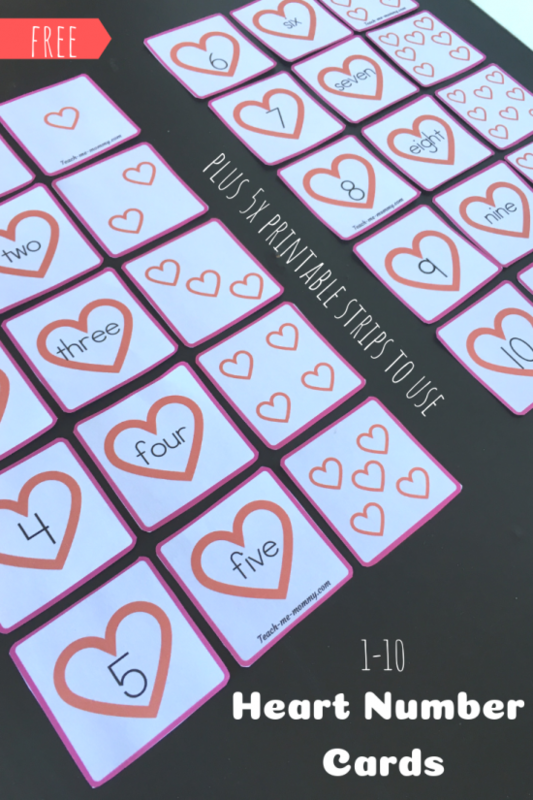 Play a memory game using 2 of the 3 matching cards. 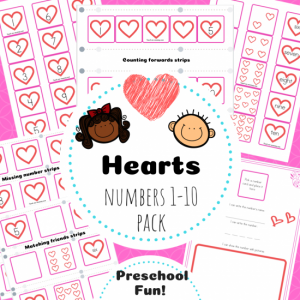 So many fun learning ideas with these heart number cards! 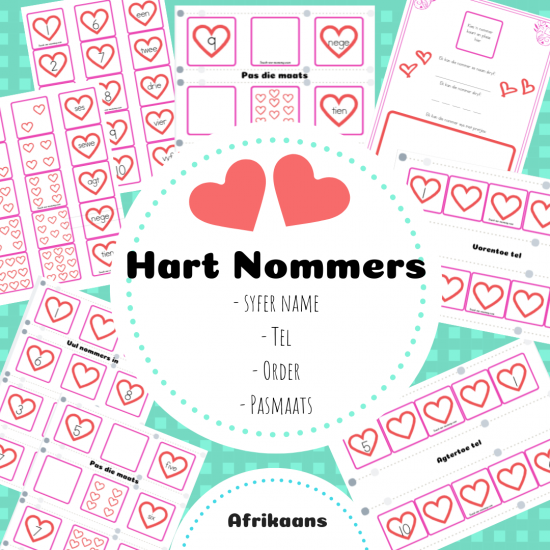 Get the Heart Cards, from 1-10, FREE on the Freebies page(access to the Freebies below).